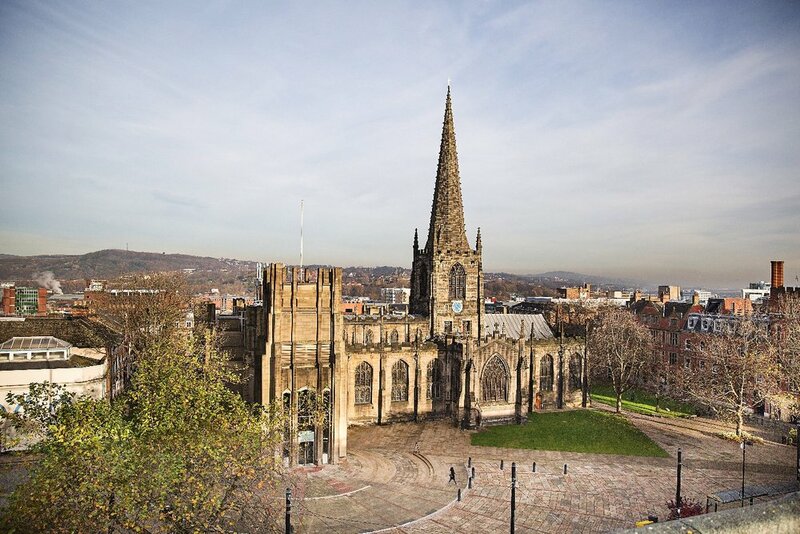 Over the past three weeks or so I have received a large number of emails and letters, and have had personal conversations, regarding the appointment of Bishop Philip as the new Bishop of Sheffield. A large percentage of these have raised concerns about Bishop Philip’s appointment, but many – from across the traditions and genders within the diocese – have welcomed the appointment. Alongside this correspondence I have been aware - as will many of you – of the public debate over the appointment which has been conducted on social and other media raising various issues. Whilst Bishop Philip’s tradition, the 5 guiding principles and mutual flourishing, are an accepted part of the Church of England, some clergy and laity within the diocese have raised questions about how this will operate in practice. Bishop Philip is, I know, committed to our diocesan vision and brings with him many of the gifts and skills we are looking for in our new Bishop. He is fully committed to being the Bishop for the whole diocese and to supporting and promoting women’s ministry. I am equally aware that it is these very things that have raised some of the concerns. Over the past weeks I have been in deep prayer asking God’s wisdom as to how I can listen to the hurt and pain that is being expressed, and find a way forward, that does not diminish or underestimate what is being expressed at a very deep level. I remain sure that through God’s grace a way forward will emerge. We must trust that God is journeying with us and has been involved in this appointment. We may not be sure where the journey will lead us but we must trust and have confidence in God. We can only move forward in relationship with each other and most importantly with God. During this first week of Lent Bishop Philip has told me that he will be taking some time for prayer and reflection on retreat. Having heard the criticisms and concerns, alongside the support and affirmation, he rightly feels he needs to spend time in prayer. He will not be making any public statement or entering into further correspondence at this time. I hope you will allow Philip this space and as such direct any further communication to me until the end of his retreat. I would ask that all in the diocese would pray for each other and Bishop Philip – and that whatever concerns or issues people may have we will be able to pray together as a Diocese that God’s will be done. Bishop Philip has asked me to thank you for the prayers that he knows so many people in our diocese, across all our traditions, have been offering on his behalf. I want to assure you and others who have raised particular concerns or questions, not least deeply theological ones, that I do understand these and I am responding pastorally as best I am able. As you will be aware, I am fully supportive of women’s ministry and will continue to be so, and to serve the diocese in all its diversity. I am, and remain, extremely grateful and proud of the rich ministry of all women – ordained and lay – and from which the diocese and God’s mission benefits enormously, as I also rejoice from our male colleagues for whom this has also raised concerns. I am deeply moved by the letters and emails and conversations I have had, and I want to assure you of my ongoing support, thoughts and prayers as we continue to discern God’s will. A couple of weeks ago I sent an email to the Area Deans offering to meet with individuals and groups across the diocese and within the deaneries, and that offer still stands. I am also happy to receive invitations from individual parishes as it is important that the laity also feel they have a voice. As I have previously indicated, I cannot speak for Bishop Philip - and nor would it be right to do so - and all I am offering is a listening exercise which is offered in genuine sincerity not as a pastoral platitude. It is important that people know they have been heard and that their views have been taken seriously. Please do get in touch if that would be helpful. In the meantime, I remain your servant under God and committed to your care and support and that of the whole diocese as we move forward together in partnership, in unity and God’s mission. Older PostGiving up or taking on?